The molecular interaction group investigates all kind of molecules in solution and more particularly focuses on the interaction of biomolecules as well as polymer NMR characterization. 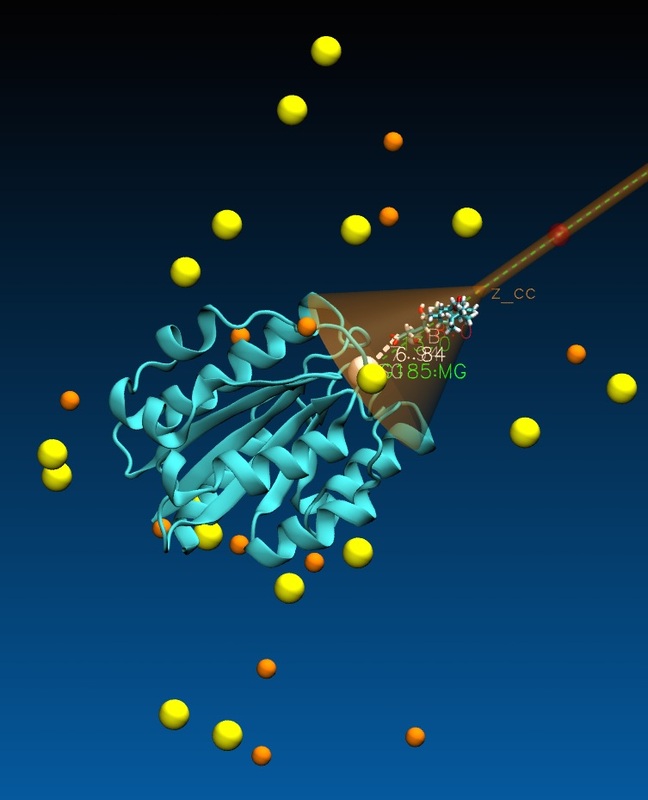 In particular, we are interested in combining experimental data with molecular dynamics through the use of GPU technology to assay the thermodynamical parameters describing molecular interactions. We focus on the binding affinity of proteins for ligands, their enzymatic activity and the inhibition processes at a microscopic level. Novel general-purpose integrated approach based on graphics processing unit (GPU) technology are developed to simulate statistical ensembles of binding and dissociation events on time scales of microseconds to milliseconds and to predict and explain enzyme inhibition mechanisms and affinities. We also develop NMR studies on dedicated NMR systems at high fields to account for the dynamics and structure of macromolecular interactions.